USC wrestling standout and Olympic hopeful Sasha Medvidovic is breaking gender barriers in her sport. Sasha Medvidovic has no problem fitting in with the boys. She also has no problem beating them. 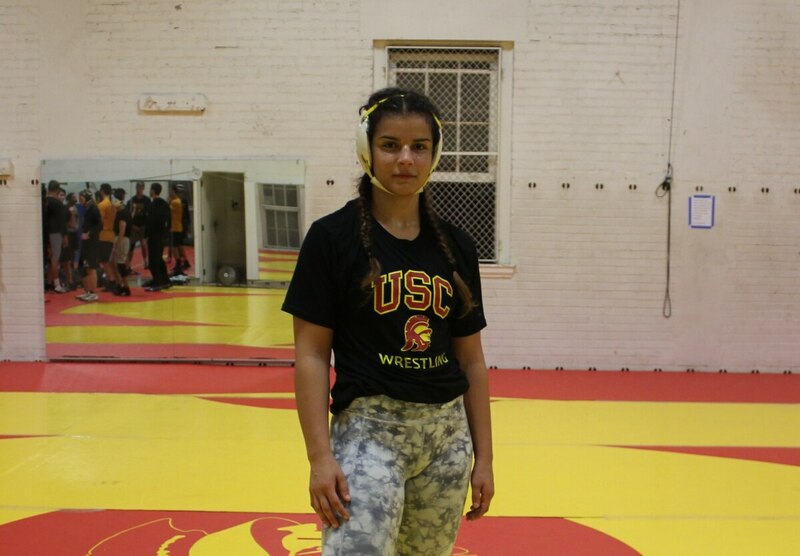 As the only female on the University of Southern California's wrestling team, the first-year standout has learned to do both. Medvidovic joined USC's club team after wrestling for four years at Mira Costa High School in Manhattan Beach, where she helped pioneer the women's program. She now finds herself in a similar situation—as the only female on an all-male team. "The guys were having some silly conversation about [me being on the team] and one goes, 'She's not a girl. She's a wrestler,'" Medvidovic said. "Of course I'm a girl, but on the mat I'm a wrestler just like anyone else." Medvidovic attracts attention for more than her gender. Her varsity-level talent and Olympic ambitions could be USC's secret weapon to helping the team achieve its best season yet, ultimately inching the program closer toward its long-term goal of becoming a Division I sport. Her past achievements in the sport suggest a promising future. Medvidovic dropped only one match during her senior season at Mira Costa to finish with a record of 29-1 and a bronze medal in her weight class at the California Interscholastic Federation State Girls wrestling championships. 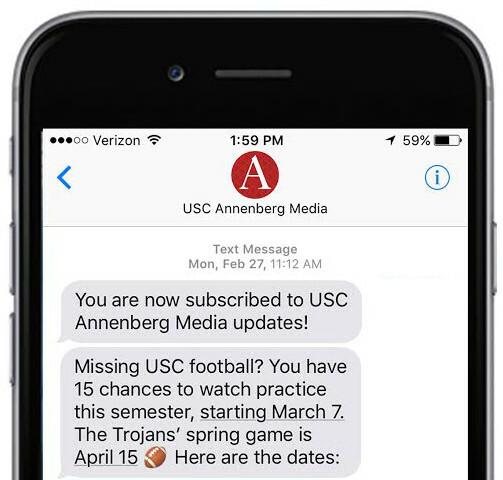 Her coaches at USC have noticed her potential. "[Sasha] is one of the best athletes I've had a chance to work with," said Nick Cegelski, an assistant coach and founding member of the team. "She has a ton of heart, she's really coachable and you can tell she really loves the sport." Participation and commitment levels on the team have grown exponentially since the program's first year in 2012. The team is now supported by four coaches and boasts a 17-member roster, which is nearly twice the size of last year's squad. With the combination of administrative organization and athletic talent this year, the team's coaches are setting the bar high. "We're taking this very seriously," said head coach Andrew Lowy. "We're treating it like a Division I sport and trying to run practices that way." Medvidovic is also taking practices seriously. She turned down scholarship offers from programs with women's wrestling teams to attend USC, although her goals include competing nationally or at the Olympic level. As a biology major on the pre-med track, she chose the school for its academic strength, but said she is also pleased with the wrestling program so far. "It's sort of a balance where wrestling is a club sport, but [USC] is strong academically," Medvidovic said. "That's the tradeoff I guess, and it's working out great so far." The team's gender disparity presents a unique set of challenges, however. Female wrestlers have greater flexibility and a lower center of gravity than males, which impacts their wrestling style. Cegelski noted the struggles of understanding and replicating the female wrestling experience. "When I'm working with Sasha, I don't necessarily know all the challenges that she is going through as a female wrestler because I have not experienced that," he said. "As a coach, I just need to make sure that I'm listening." Although Medvidovic said she prefers training against other females, she is used to wrestling against males. In fact, the opportunity to compete against guys first prompted her to try the sport. She asked to join a wrestling demonstration set up for the boys in her high school gym class. "[Sasha] felt that wrestling was something girls should be able to do as well," Nenad Medvidovic, Sasha's father, said. "She set her mind on it and jumped right into it, and it's been a big part of her life for the last four years and counting." Broader trends in the sport indicate Medvidovic may not be an outlier for long. In California, women’s wrestling participation in high school increased a whopping 17% in the past year, according to the California Interscholastic Federation. As the opportunity to see more women on the mat increases, however, it is unclear where the future of the sport lies for men. Men’s wrestling programs have been slashed by roughly 15% at the Division I level over the last 10 years, according to the NCAA Sports Sponsorship and Participation Rates Database. Talented athletes are competing at the growing Division II and III levels or on competitive club teams in the National Collegiate Wrestling Association (NCWA), such as USC. "There's a lot more talent at the high school level competing for fewer spots and scholarships at the NCAA level," Lowy said. "As a result, the NCWA teams have gotten a lot tougher." USC's coaches said their goal for the program is to become as competitive as possible in the NCWA, but ultimately, they want to buck national trends and become a varsity-sanctioned sport. This season, the team has the potential to make major leaps toward this goal. "I expect a lot from these guys and I think they have the resources and ability to do it if they work hard and compete well," Lowy said. Of course, Lowy counts Medvidovic among the "the guys." He wants every individual to achieve the highest level of competition possible, which seems limitless for Medvidovic at this point. Medvidovic and the Trojans will next test themselves once competition resumes in January. The team's focus will be on preparing for the NCWA National Wrestling Championships in March.